Home / SCHOLARSHIP / SCHOLARSHIP OPPORTUNITY TO STUDY IRELAND BEGINNING IN 20I8. SCHOLARSHIP OPPORTUNITY TO STUDY IRELAND BEGINNING IN 20I8. 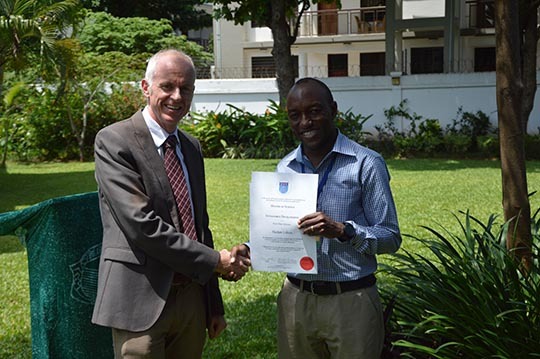 Scholarship for Tanzanians for postgraduate study in #Ireland beginning in 2018, in the field of sustainable technology. The scholarships are funded through the Irish Aid Fellowship Training Programme and are open to Tanzanian citizens resident in the country. Applications from female candidates are particularly welcomed. Completed applications should be sent to TanzaniaFellowships@dfa.ie. The deadline for applications is the 2nd January 2018.